In case you missed it: An audit of Oregon’s air quality permitting program finds that lack of funding has weakened the agency’s ability to protect our communities from dirty air. Toxic pollution. Heavy metal. Soot. Smog. 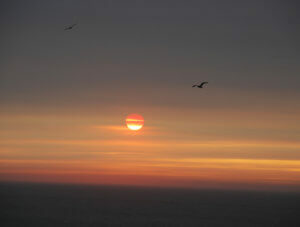 Smoke. Any way you measure it, keeping Oregon’s air clean and breathe-able takes work. Oregon needs every business and individual who has a smokestack, chimney or tailpipe to do their part to protect health—and we need our health and environmental agencies to ensure we are all doing the job. We share responsibility for clean air. So: what does shared responsibility look like? We are all responsible for being good individuals and community members. As an individual, you follow the laws in place to limit pollution from your car or truck. You make choices about heat and electricity in your home. You also act as a community member: you invest taxes in programs to set and enforce air pollution limits. Our state’s industries must also be held responsible. 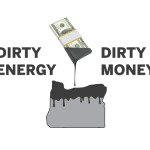 Our state’s industries must be held responsible for the same thing: making sure their smokestacks and tailpipes follow the rules, and acting as good community members, investing their fair share of dollars into controlling air pollution. 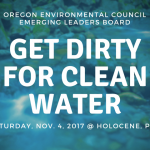 Oregon’s Department of Environmental Quality and Oregon Health Authority must also work effectively to set limits, monitor those limits, and ensure that all of us can, and do, follow the law to keep pollution below those limits. Today, Oregon’s Environmental and Health Agencies have a wide range of programs to protect our air. They set and enforce standards for car and truck tailpipes. They use incentives to retire the oldest, dirtiest diesel engines. They set standards for wood-burning stoves to control soot. They monitor for soot and smog, and let people know when the air is dangerous to breathe or burning restrictions are necessary. And they are developing standards to control a wide range of toxics from industry. You can act as a community member during the legislative season this January. Be sure to join us for a lobby day on February 12 to talk to your legislators in the capitol! 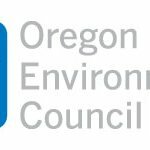 You can also comment on the rules for controlling toxic emissions from industry under the Cleaner Air Oregon program, now taking public comments before January 22nd. Neighbors for Clean Air offers tips and talking points to craft your comments. 1 Reply to "Your fair share to stop dirty air"